Today’s my third official women with braces update and it’s been almost five months since I got them. 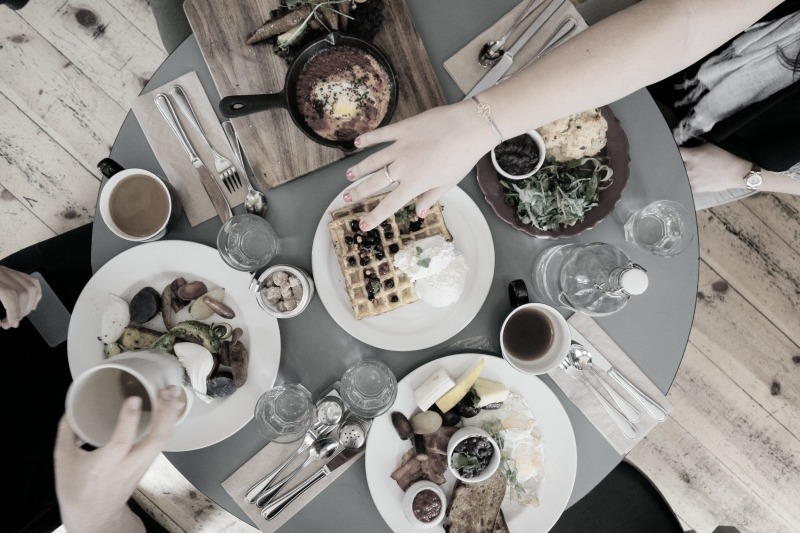 In this post, I’ll be talking about what foods I avoid to NOT break my wires or brackets. Can’t wait to share my progress shots as well, so let’s get to it! Caramels – soft caramels can be done if chewed very slowly and allow them to melt a little in your mouth. Chunky peanut butter – best to avoid. The peanut pieces get stuck in wires and brackets. Hard candies – fine as long as they’re just dissolved in mouth and not grinded/chewed up. Chewy candy; taffy, and gummy bears, licorice, tootsie rolls, Starburst, jelly beans – avoid. Chocolates like Reese’s, Milky Way, 3 Musketeers, Mounds – good to go. Pudding – good to go. Cheeses – good to go. Pasta – good to go. Rice – good to go; just know that it will get stuck all up in your wires, so keep some of my handy tools nearby. Quinoa – same as rice. Hot dogs – good to go. Hamburgers – good to go. Eggs – good to go; just know that eggs also get stuck all up in your wires and brackets so keep those tools handy. Gum – I personally avoid… keep Altoids in your purse/pocket. Chewy bread such as bagels – tear into small pieces and chew VERY slowly. Do not toast too dark… the lighter the better (if at all). Chips – eat them carefully and one at a time. I personally prefer corn chips over potato. Potato chips get caught in my braces really bad but Doritos, Fritos, tortilla chips are easier to get out. Corn on the cob – cut off the cob. Soda and sugary drinks – chase down with water. Pizza crust – I avoid. Crusty breads – I avoid… if you have control over the toasting level, keep it extremely light or don’t toast at all. Ice – do not chew ice, bad idea. Beef jerky – avoid.. too tough. Apples and other crunchy fruit – cut into small pieces and chew with your back molars slowly. Carrots and other crunchy vegetables – soften (boil/bake) or cut into small pieces and use back molars. Meat on the bone – remove from the bone and you should be fine. Hard cookies – soften with milk. Stringy meats – basically any meat is going to get stuck in your wires/brackets but just rinse with water and it should mostly come out but keep a dental pick or toothbrush handy. 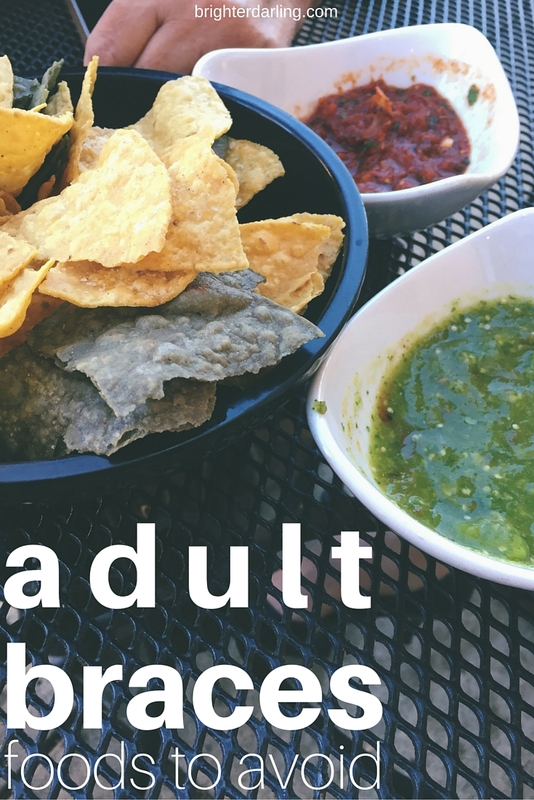 Hard tacos – chew slowly, but you should be alright. The blue things on the back teeth are called ‘turbos’ or ‘bite blocks,’ and they’re used to prevent you from biting down and knocking the brackets off if your teeth overlap a little. This month, we upgraded my wires again on both the top and bottom (fourth wire on top, third on bottom)! I am really pleased about that because I’ve always read that the more often your teeth seem ready to upgrade the wire, the faster they’re adjusting to movement. I hope that’s true. My orthodontist also reinforces the wires with individual wire ties underneath my rubber bands/ligatures – which I’ve learned isn’t something ALL orthodontists do on all teeth, but apparently my doctor is a perfectionist and likes the results he gets when certain teeth (or in my case this last month, EVERY tooth) has wire ties. I am thinking this is what’s helping my teeth move as efficiently as they have. That sums it up for this month’s braces update! Next month, I’m going to be sharing some cosmetic/makeup (lip products) I’ve found either helpful and/or flattering since getting braces. Check back for that post on April 25th. 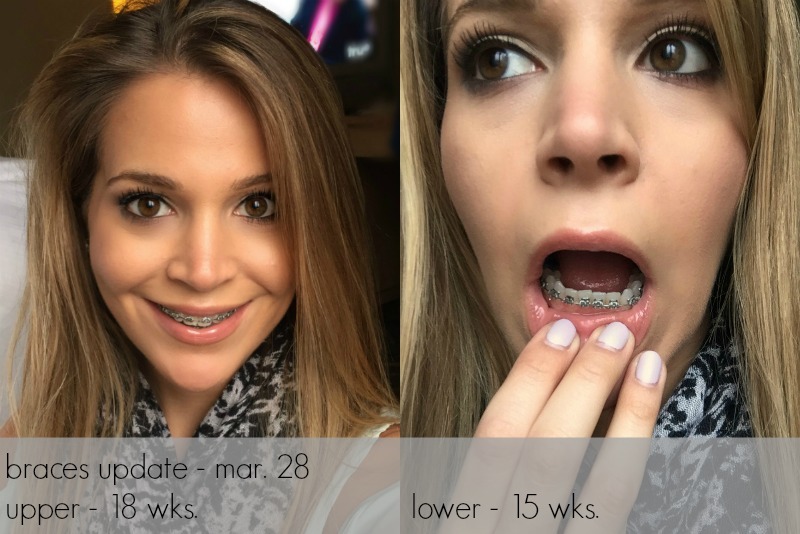 If you have any questions or comments about my braces treatment or just want to vent, feel free to leave a comment below and/or send me an email at brighterdarling@gmail.com. What foods have you had good or bad luck with while wearing your braces? "My Final Four: Tarte Rainforest of the Sea vs Guerlain Lingerie de Peau vs Armani Luminous Silk vs Maestro"